Industry leaders should push for more tech innovations in the auto sector. Whenever there is a push from the industry leaders, growth can be witnessed in the sector, said Dr H Purushotham. 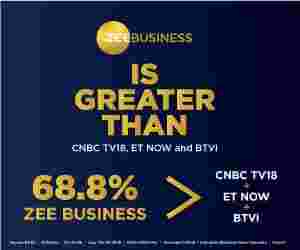 Zee Business-SAP Dare to Dream programme is aimed at fostering global competitiveness and growth among Indian SMEs. Indian automotive sector is gearing up for a major shift to electric vehicles from the existing conventional fuel vehicles. The government has already extended and approved $1.4 billion for Faster Adoption and Manufacturing of Hybrid and Electric Vehicles (FAME) scheme in January this year aiming to boost subsidize sales of electric and hybrid vehicles. Dr H Purushotham, CMD, National Research Development Corporation, Ministry of Science & Technology, said at the Zee Business-SAP Dare to Dream event that automobiles industry leaders should push for more tech innovations in the sector. "Industry leaders should push for more tech innovations in the auto sector. Whenever there is a push from the industry leaders, growth can be witnessed in the sector," said Purushotham. Explaining the government's effort, Purushotham said, "Government is making a roadmap to implement environment-friendly norms in a better manner for electric vehicles. The government is also working on many fronts and mechanisms to achieve the dreams of the industry. It has sufficient funds available in different schemes for the same." He said a lot is still required to be done on the research and development front. "A lot still needs to be done on the R&D front. I request industry friends to facilitate international collaboration in order to achieve the sector's dream," said Purushotham. Zee Business-SAP Dare to Dream programme is aimed at fostering global competitiveness and growth among Indian SMEs. The event gives a common platform to 30 CXOs and industry experts to come together and discuss the future and opportunities ahead. The idea behind the event is to encourage discussion in order to engage, extract thoughts and experiences that are themselves expected to throw up valuable lessons for all concerned to take advantage of policies, technologies, market linkages as well as business support thereby help in the shaping of the industry itself. NEXT STORY: Jawa Motorcycle brand is now 100-dealership strong!